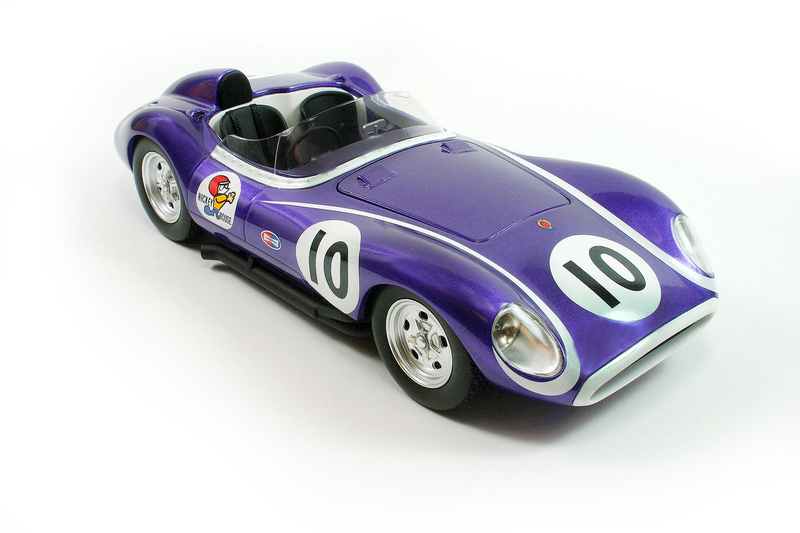 Can you imagine any of today’s pampered F1 drivers riding to a race in one of these? 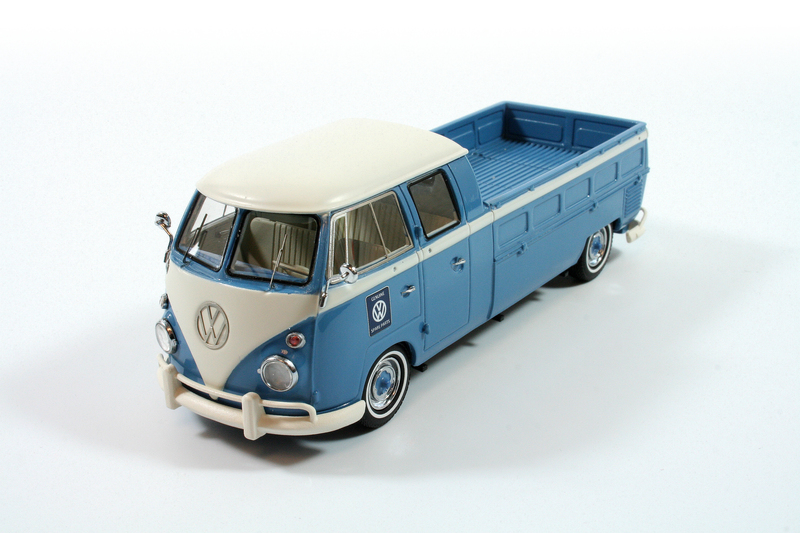 When I was a kid the only minivans were VW vans. They fit the mini category, maybe even invented it. 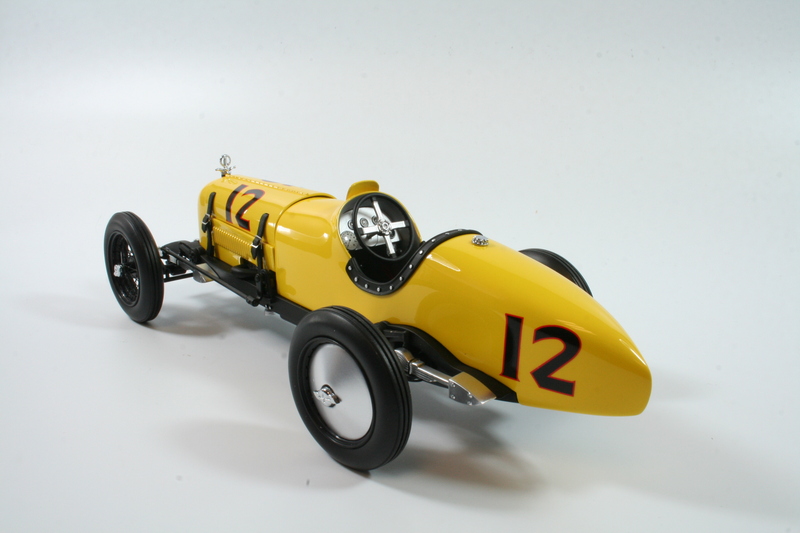 Last time we laid eyes on Replicarz’s 1/18 scale Indy-winning Duesenbergs they were prototypes. Now comes the real deal, and just in time for next month’s 102nd running of the Indianapolis 500. 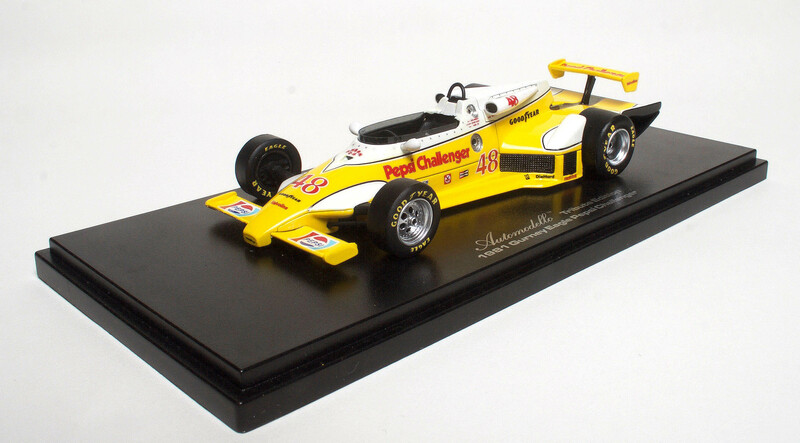 The March chassis was a dominant one in Indycar racing during the 1980s, and it was a beautiful racer. 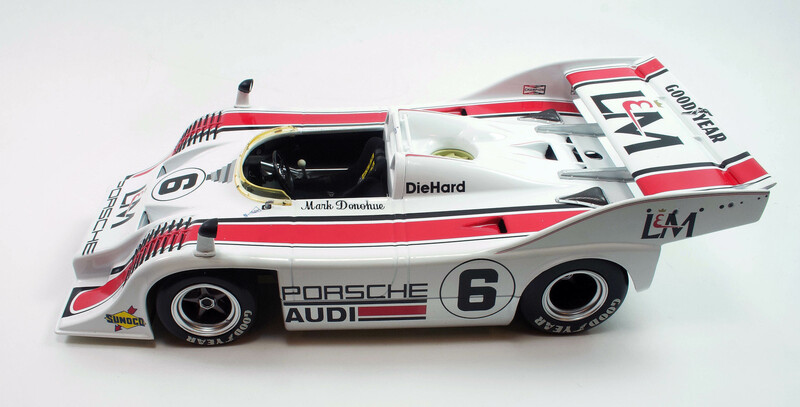 Porsche, Penske Racing, and Mark Donohue combined efforts in 1972 to take on the all-conquering McLarens in the Can-Am Challenge. No one should have doubted the results this trio would achieve. The 1981 Pepsi Challenge (No. 48) driven by Mike Mosley and the blue White Castle entry driven by Chip Mead at the Indy 500. Dan Gurney stopped racing at the enf 1970, but his influence on open-wheel racing continued for decades afterward. 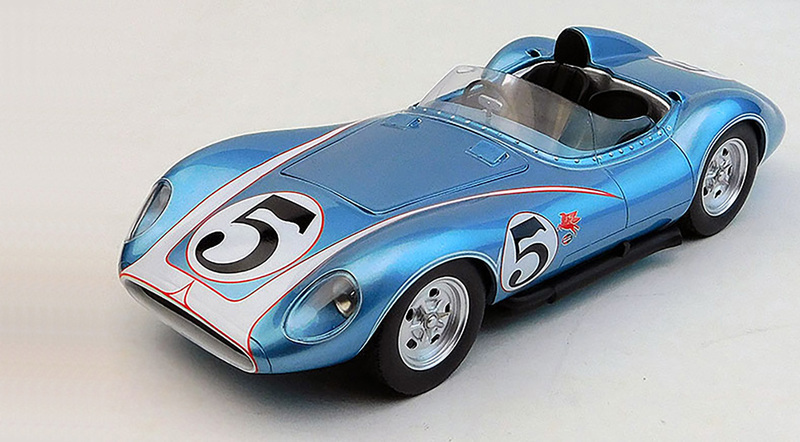 Yet the 1970s and early 1980s were the zenith for his All-American Racers (AAR) Eagles. 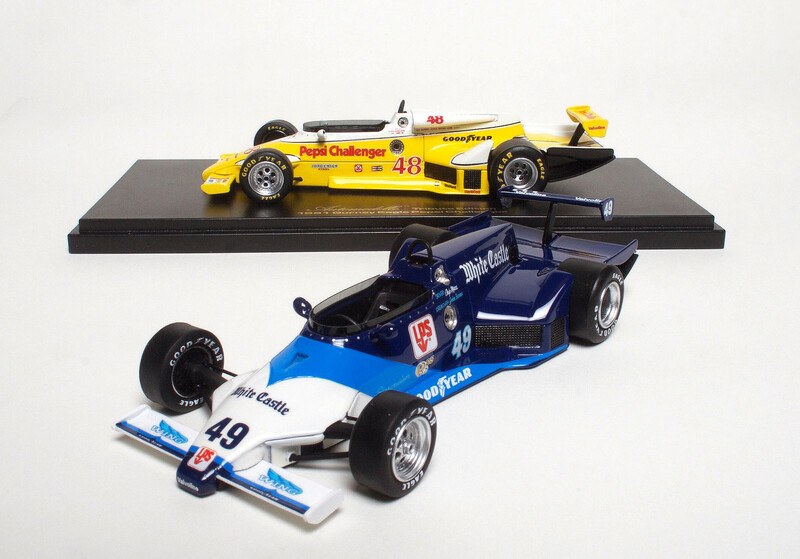 Gurney’s Santa Ana, Calif.-based shop turned out highly competitive Eagle chassis for the Indy Car series. Eagles were consistent winners. Even the ultra-successful Team Penske used them for a while as they were outperforming Penske’s own chassis. Yet in 1981 AAR went a whole new route with its design, making virtually everything behind the driver’s cockpit into a wing that created terrific downforce to increase cornering speeds. 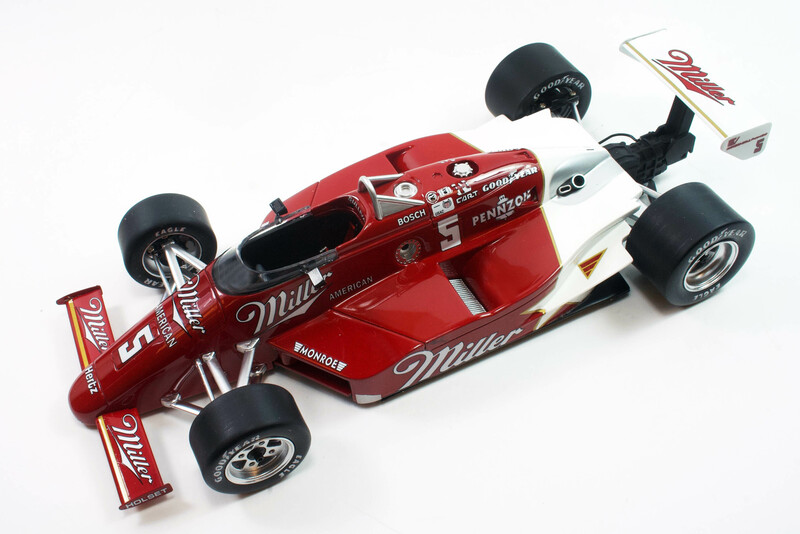 Now, Automodello joins Replicarz in creating high-quality 1/43 scale resin historic Indy racers with its model of the AAR 1981 Eagle that sat on the front row for the Indy 500 and won a race in Milwaukee. It also makes a second Eagle that was entered in the 1981 race. 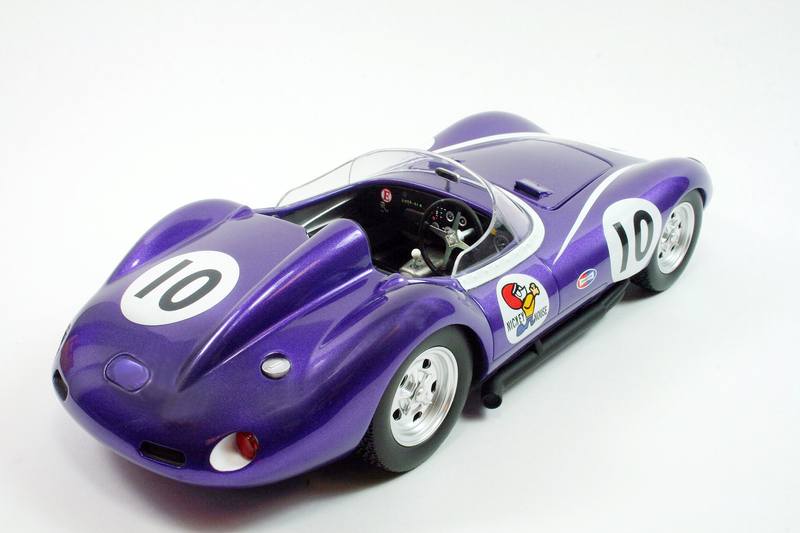 The radical Eagle design with its broad, flat rear side pods and extension behind the rear wheels, plus a small wing atop what was essentially a lower wing, caught everyone at the 500 by surprise. Mike Mosley, a speedy Indy veteran with tough luck, was the driver of Gurney’s famous No. 48.